HomeCotswoldsUKIP is Making Brexit Happen in a Ward Near You! Vote UKIP on Thursday 2nd May. Take this chance to show how you feel about the Government’s handling of Brexit by voting UKIP in the upcoming local elections. 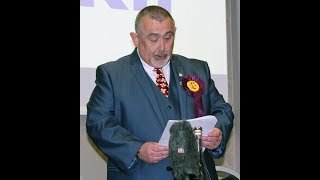 You won’t be alone: in the recent Newport parliamentary by-election UKIP doubled its vote share as many voters ditched the Labour and Conservative parties. Local issues count. 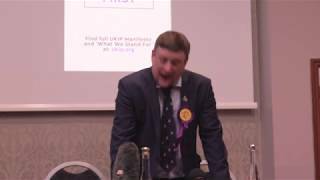 Making a clean exit from the EU isn’t the only reason to vote UKIP; the party is all about cutting bureaucracy and standing up for the ordinary person, and your UKIP candidates are determined to tackle local problems such as law and order, the state of the roads, local education and protecting greenbelts. UKIP councillors have been making valuable contributions to local government in the Forest of Dean for many years. See our local manifesto here. UKIP Gloucestershire is fielding 14 candidates for Tewkesbury Borough Council, Cotswold and the Forest of Dean District Councils and the Gloucestershire County Council Churchdown by-election. For Tewkesbury Borough Council, retired electronic engineer David Lewis of Staverton Park is standing in Badgeworth, while Northway residents Andy Coates and John Dockree are contesting the two seats there. 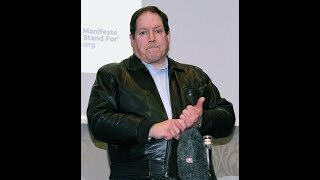 Andy, a warehouse operative, is a family man whose children attend local schools, and John, a former automotive engineer, is campaigning on issues such as the green belt and flood plains, law and order and road maintenance. Sylvia Bishop will be standing in Tewkesbury’s Brockworth West. Sylvia was one of the first pupils to attend Brockworth Comprehensive school when it was built, and has spent most of her life in the ward. Brockworth East is contested by Brockworth resident Phil Nash, an ardent Brexiteer who works for the NHS. In Shurdington you will be able to vote for ward resident Barry Lodge. Educated in Gloucester, Barry has spent most of his life in this beautiful county, as he calls it; after a career in the Ministry of Agriculture and the brewing industry he now works in financial services. If you are in Churchdown and Brookfield with Hucclecote, vote for Cheltenham-born Christina Simmonds. Christina believes the money we send to the EU could be spent on improving our roads and railways, reducing housing shortages and university fees, and supporting the disabled and elderly. Cotswolds District Council: UKIP’s Chris Harlow is standing in Chedworth & Churn Valley. Chris is a retired senior manager who lives in the Chedworth and Churn Valley ward with his family. He has been a volunteer with various local bodies, and has particular interests in education and transport. Kemble is the place to vote for John Fleming, who has stood in the ward previously, and Campden & Vale is being contested by Robert McNeil-Wilson. Robert has been a Royal Fusilier, a mining engineer, a chartered engineer and more locally, has long served as churchwarden in Willersey, where he has lived with his family for 25 years. Peter Elliott is UKIP’s candidate in Watermoor, where he has lived for many years. Forest of Dean District Council: UKIP’s Alan Grant is standing for re-election to the Pillowell ward. Alan is a prominent member of the ‘Rainbow Alliance’ cabinet with the portfolio for Health & Wellbeing and Planning Policy. He has been a loyal supporter of UKIP since 2009. Previously, Alan served 23 years in the Royal Engineers. He is married with 4 children and 10 grandchildren and lives in Yorkley. Roy Bardo is the name to look for in Mitcheldean, Ruardean & Drybrook ward. Roy lives in Cinderford and currently serves as a Parish councillor in Drybrook. Gloucestershire County Council: Vote for Rob McCormick, UKIP’s candidate in the Gloucestershire County Council by-election for Churchdown. Rob has lived and worked in Gloucestershire all his life and his four grandchildren all go to school in the county. 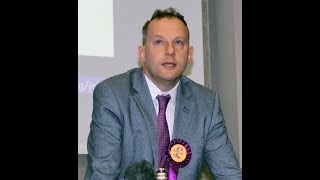 Rob has been involved in local youth work for many years, as well as devoting many hours to campaigning for UKIP and a clean departure from the EU. Your Gloucestershire UKIP candidates represent the party as a whole; from many walks of life, we are all determined to see Great Britain leave the European Union. This may take a long time, and voting for UKIP in the local elections will make a difference. If you aren’t already registered to vote, or have changed address, name or nationality since the last time you voted, you can register here. The deadline to register is 12th April. Looking ahead, UKIP is currently recruiting for candidates for Council elections in Gloucester, Cheltenham and Stroud next year. If you would like to be a UKIP candidate for Stroud District, Cheltenham Borough or Gloucester City Councils in 2020, or for Gloucestershire County Council in 2021 please email candidates@ukipgloucestershire.org.uk with your address and contact telephone number. Thank you.